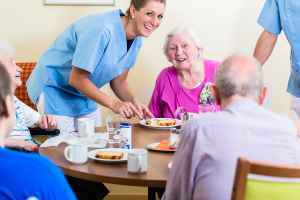 We found 1 result for residential care homes in Nampa, Idaho. The median daily cost for senior board and care in Idaho is around $82, with costs ranging between $25 and $131 daily. On a per month basis, this equates to an average expenditure of $2,456, with costs ranging from around $749 to $3,938. The median yearly cost is $29,475, which is below the US average of $31,500. The cost of residential care in Nampa ranges from around $1,950 per month to $3,506 per month. The average cost is $2,700 per month, or about $32,400 per year. Nampa is a mid-size city in Canyon County in Idaho. It is part of the Boise City-Nampa metropolitan statistical area. It is the 2nd largest city in the state, with 104,532 residents residing within the city itself and 470,396 in the encompassing metropolitan area. The senior community composes about 20% of the overall population. Nampa has a moderate SeniorScore™ of 68. The city has an average per capita income of $18,000. The median household income is $45,000 vs an average of $43,000 for the whole of Idaho. The current unemployment rate is approximately 11.24% and the median housing price is $111,000, which is significantly lower than the state average of $238,500. Nampa has tolerable average temperatures, with cold winters and mildly warm summers. The city receives optimal levels of precipitation each year. In relation to other cities in the United States, Nampa has an average rate of crime and very good air quality.